It is the year 1600, and the Spanish crown rules undisputed in the Americas. The competing European nations have yet to establish a single settlement. The Caribbean colonies, collectively known as the Spanish Main,1 are already a century old and are particularly wealthy. Each year, the four largest hold a trade fair to mark the coming of the great fleet of galleons known as the flota. This convoy returns to Spain laden with treasures from the Far East, Perú, and Mexicó worth 20 million ducats. Unless God or man intervenes. Meanwhile, the Protestant Reformation is sweeping Europe. Boatloads of persecuted Protestant refugees will soon set foot in the Catholic New World. Spanish governors are ordered to quash the infidel squatters, as well as the infernal pirates, but funding for these efforts has been bankrupted by the fundamental unsoundness of Spain’s mercantilist policies. More often than not, these governors collaborate with the foreigners to bypass Spanish shipping monopolies. The recent defeat of the Spanish Armada is a harbinger of a slow decline from which the imperial superpower will not recover, allowing other cultures and religions to make their landfall in the Spanish Main. 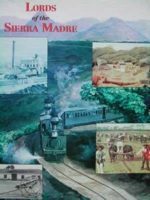 Add a Review for "Lords of the Sierra Madre"